Remember last week when we talked about a simple white t-shirt being a staple in most mens wardrobes? Well another piece worn countlessly by men has to be the sweater. This can be a solid v-neck, a graphic or printed sweater, or a cable knit such as what I’m wearing. They’re simple to wear so we often gravitate towards them. However styling them in new ways can be a challenge. When getting up in the morning it’s so easy to grab a sweater and pair of jeans and head out. But why not switch out your dark denim for a clean white pair. 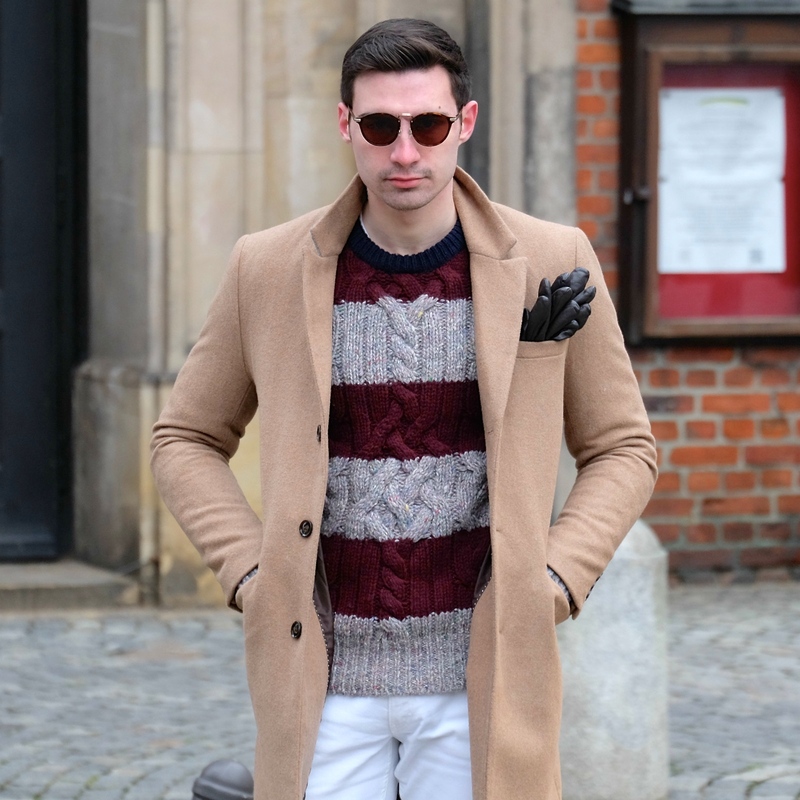 If you’re wearing a darker sweater then this would create the perfect fresh look. It’s a very small change but can make a big difference. If you’re not yet sold on white denim then I don’t know what to tell you. You’re really missing out. Also if for some reason you don’t already have a camel coat then please go out and get one. There really is no better coat to complete all your winter looks. 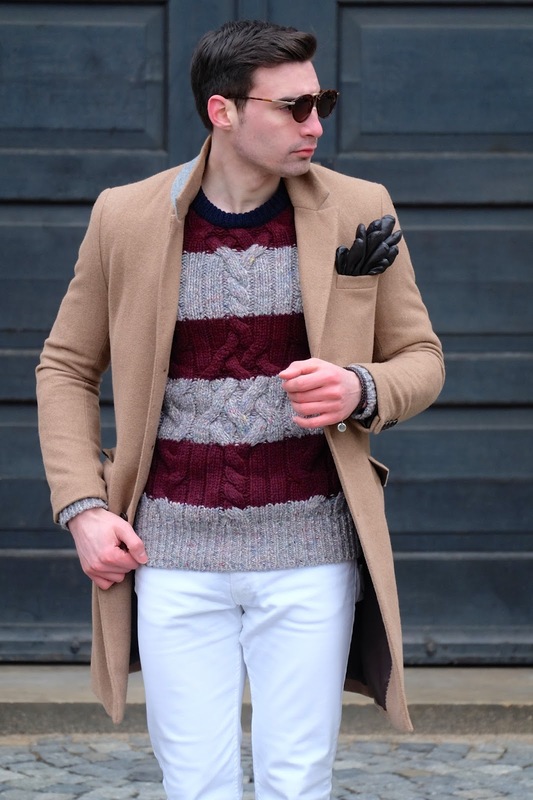 Check out some of my favorites below if your still on the hunt for the perfect coat. Thanks for reading! 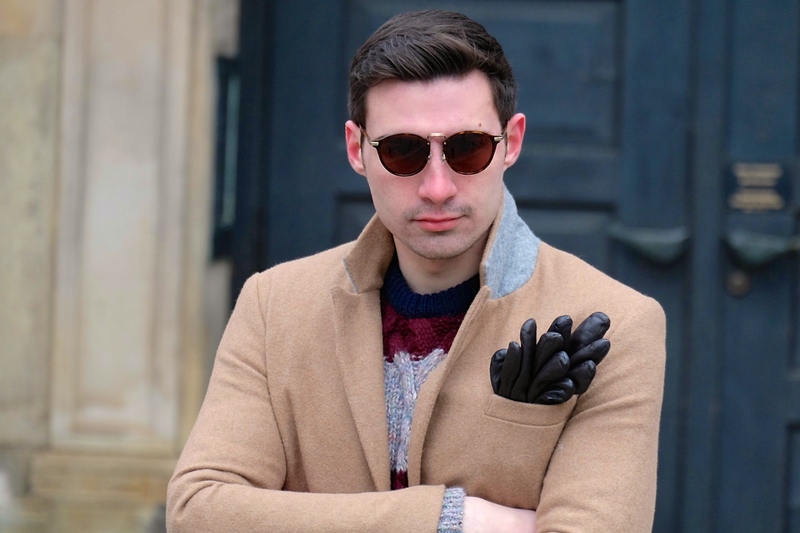 Love the gloves in the pocket! I absolutely love your sweater!